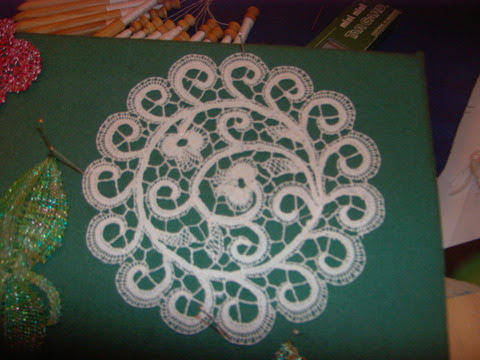 Cantu bobbin lace is a variety of tape lace, but uses a bundle to travel threads from one part of the design to another, a technique not used in other tape laces. The designs often have curly flower heads with 3 lobes or petals. Cantu lace. Also called punto Venezia. Started by Lisa Davy. Last reply by Christine McKnight Apr 24, 2015. You need to be a member of Cantu-puntoVenezia to add comments! Betty will be coming to Williamburg ( I lace with the Colonial lacers there) after the convention so I will get to take her class then. Julia thank you so much for the offer. Betty says she will be in Sacramento for the IOLI convention. or she can mail the pattern to me and I can send it to Christina. If you would like to have Betty's snail mail and email address I could send them privately to you. Just contact me at ioli.southwestdirector@gmail.com She does have some good practice strips of technique as well as small pieces to work on. Betty Manfre sells this corner and other patterns in her classes at the IOLI convention. I have sent her the info on this website with an invite. It would be a good learning pattern. I'd like to know its source, also. Betty Manfre is from the area and teaches classes in Cantu lace. bmanfre@fastweb.net I forewarded your request to her. You can send her an e-mail and she will reply. Have fun. 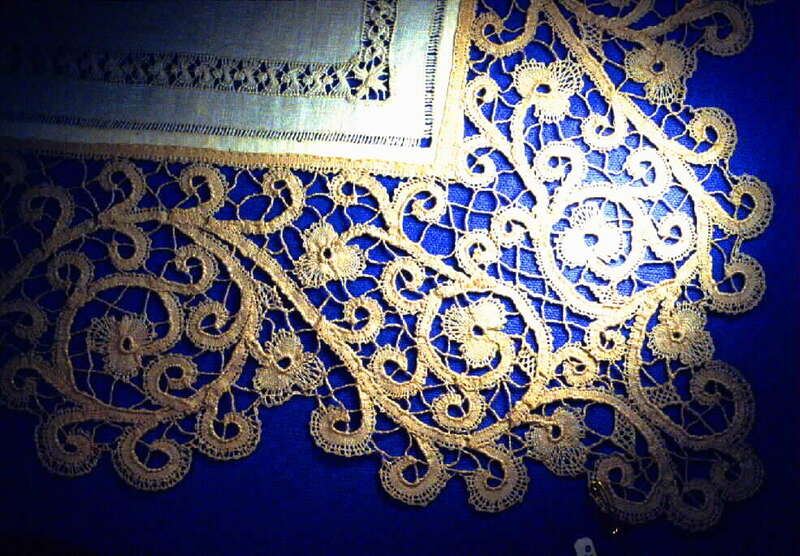 Does anybody know if there will be a lace festival in Cantu area during June 2014? Kenneth: I made a mistake in my comment. It wasn't Mary McPeek's book I found at VanSciver, but Vera Cockuyt's. (I was thinking Vera Cockuyt but looking at Mary McPeek. A senior moment) The link was to a section with Vera's books. I haven't seen her Cantu book, so I don't know what it is like. I have some of her other ones. They are self-published, and not in color. So she has to rely on verbal descriptions. But there are many useful diagrams in her other books.